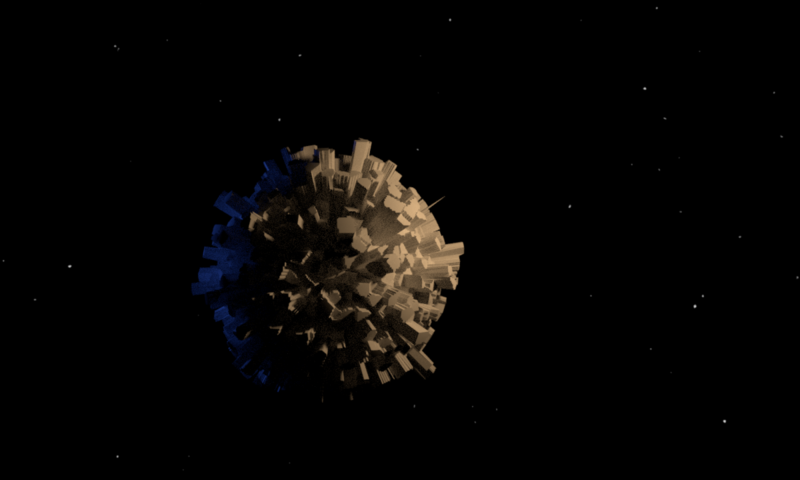 Today I was playing around with Blender’s compositing nodes. 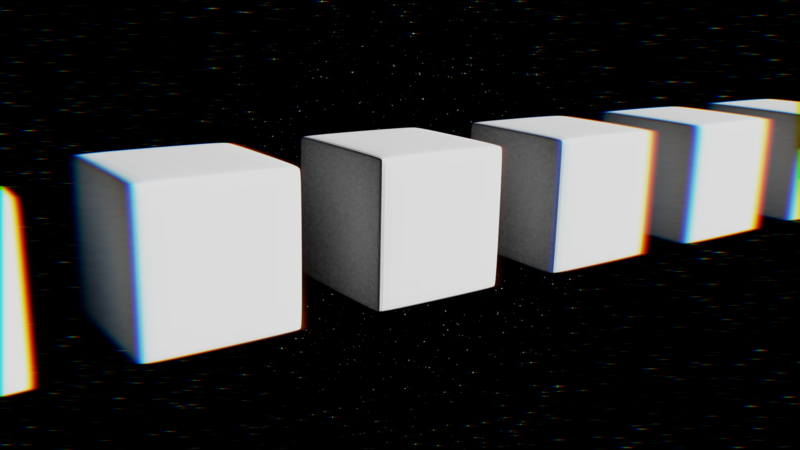 I created a node group that roughly simulates chromatic aberration. It’s not super accurate (does not simulate the way an actual round lens affects light), but in a pinch it’ll do. Find the blend file (with the node group) here! TL;DR: I took apart some CD drives and turned them into a very terrible etch-a-sketch type thing. In the future I hope to give control over to a computer so as to have a robot minion very terrible CNC drawing machine. Code for the project is here. Today is an experiment in smoke simulation and volume shading. 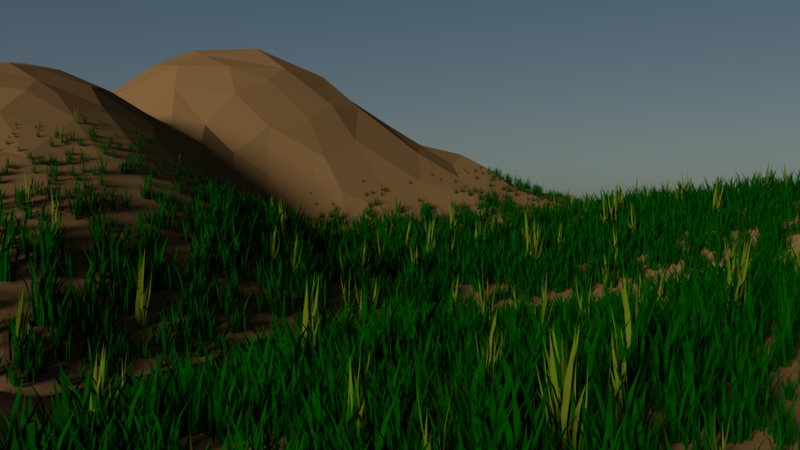 Eh, not the most amazing work I’ve ever done, but I learned a decent amount about using the subsurface modifier. For the ship I followed this tutorial. This is a short video walking through the process of combining many FBX files from Mixamo into one using Blender. The end of the video shows a super simple animation controller in Unity. Today is another experiment in Blender’s fluid simulations because gosh I had so much fun last time. Using the AddOSC plugin for Blender and the oscP5 library for Processing, today I was able to get a proof of concept for an Arduino device chatting to Blender. Today is an experiment in Blender’s fluid simulation. After posting Dandelions the other day, I was asked by someone whether I knew of any better ways to make grass. I did not. Today, however, I spent some time playing around with the hair simulator trying to get a half-decent grass effect. 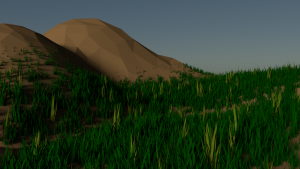 The intention of today is less a lovely render, and more a basic guide to making your own grass!